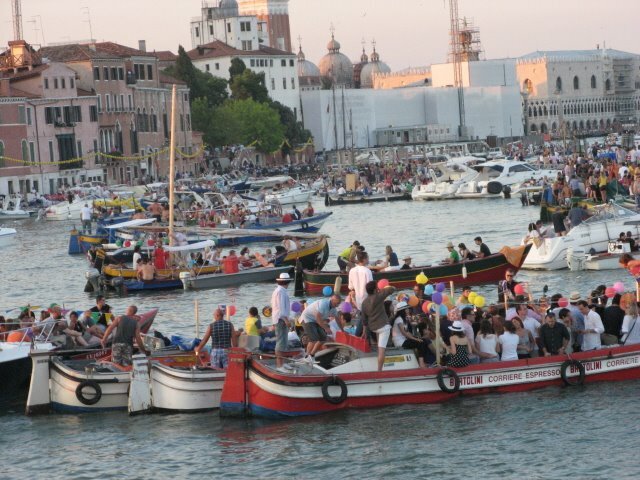 My pictures of this Venetian celebration, which happened on July 19, came out pretty well, beginning with the preparations. 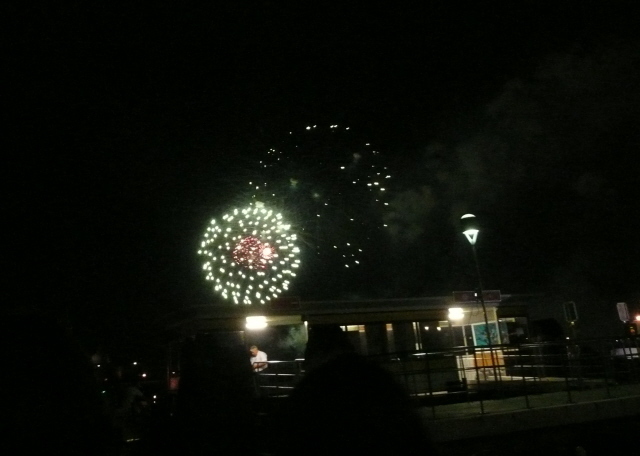 The three large barges just behind the statue are the fireworks platforms. 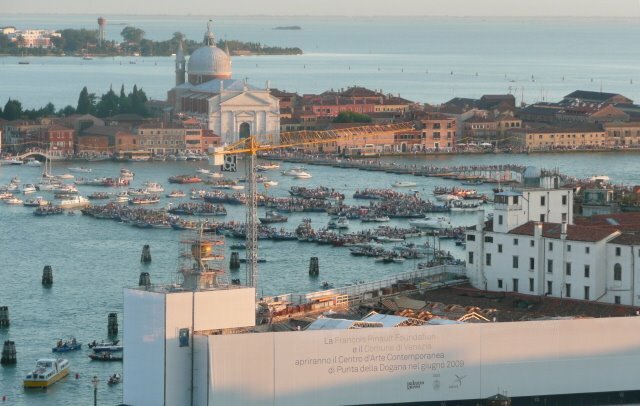 Behind them is the bridge to the Redentore church on Giudecca just completing its construction. 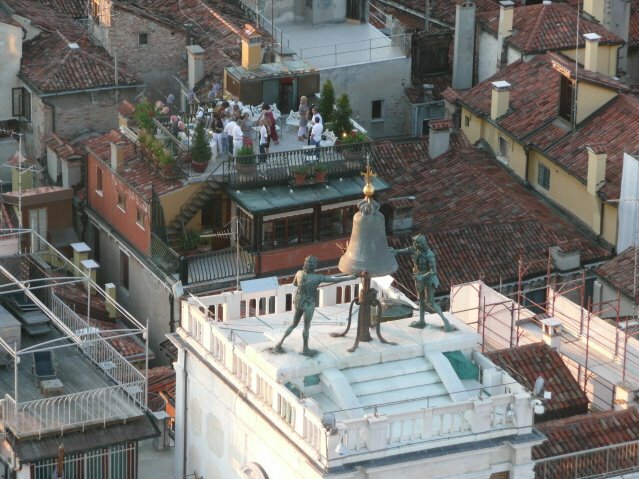 Here are people beginning a rooftop party. 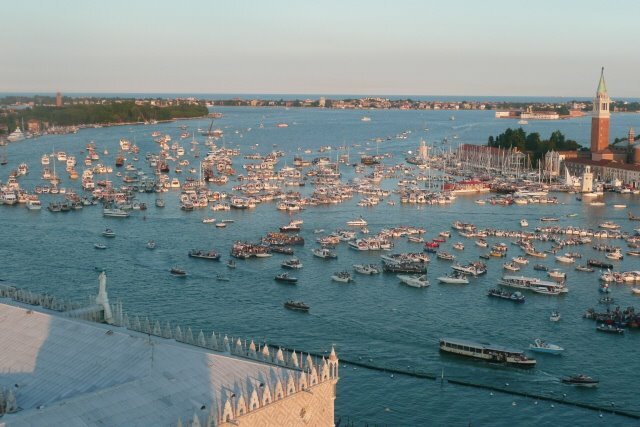 The lagoon is filling with boats. The bridge is complete, and people are walking across. 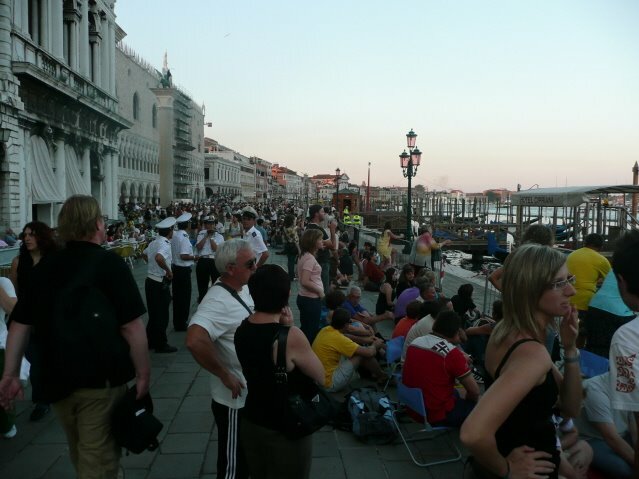 People are gathering to see the fireworks. 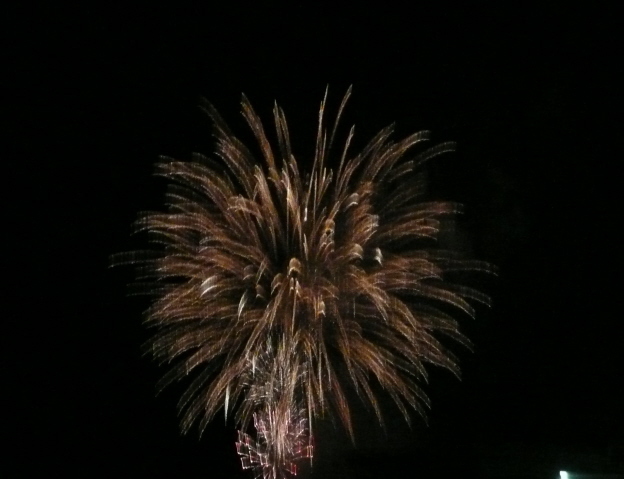 I have managed only a tiny example of the amazing fireworks display. 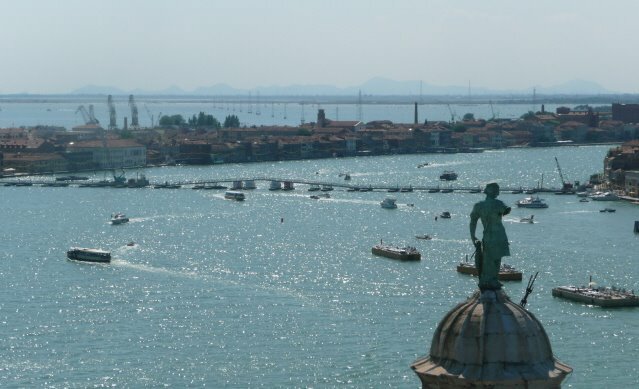 The holiday is a religious feast, feast of the holy redeemer, and the bridge provides easy access to the church of that name on the island of Giudecca. Read about it here in Wikipedia. 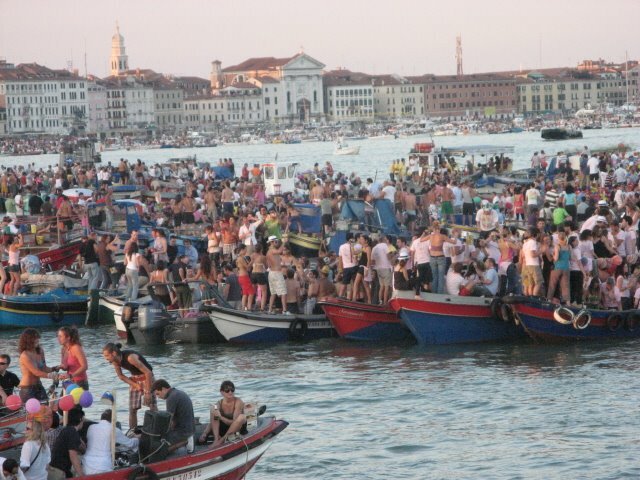 The close up photos of people on boats are by a friend.